As per the statistics released by Greece National Tourist Office (GNTO) and Athens International Airport, 38,046 Indian tourists visited Greece in the nine months vis-à-vis 17,376 Indian tourists during the same period in 2017, which is a whopping increase of 119 per cent. 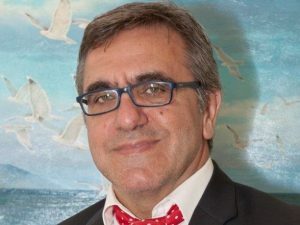 Speaking about the positive growth, Konstantinos Tsegas, Secretary General, Greek National Tourism Organization said, “Greece as a destination has gained momentum over the years and we are glad to witness the rising interest of Indians for Greece as a popular holiday destination across the country. Our approach is to target the captive audience across various age groups simply by appealing to every kind of travel need. We have effectively leveraged diverse platforms, based on specific characteristics of the Indian market. The strategy is to also promote 365-day tourism in Greece and create awareness about lesser known cities of Greece like Thessaloniki, Xanthi or Kavala which have great geophysical, historical and cultural importance along with Athens. 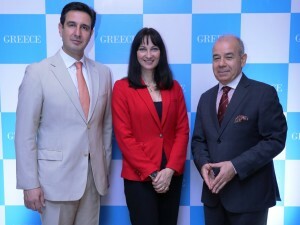 We are closely working with our partners in India for growth across segments like families, FITS (first time travelers segment), MICE (meetings, incentives, conferences and events), destination weddings, honeymoon and films.” The beauty of Greece is a Unique Sales Proposition (USP), by any means. But what truly makes a difference is its people, the authenticity and simplicity of Greek touristic products in combination with an extremely rich historical background. In 2016, Greece National Tourist Office noticed 14.6 million arrivals in total and in 2017, 15.5 million, whereas, the growth percentage of arrivals from India has been around 9.7 per cent each year. K J Alphons, Minister of State (Independent Charge) for Tourism, along with a delegation of senior officials is attending the 109th session of United Nations World Tourism Organization (UNWTO) Executive Council in Manama, Bahrain. During the opening day of the Executive Council meeting, Alphons chaired the ‘Programme and Budget Committee’ meeting of UNWTO. 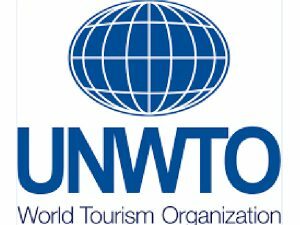 The three-day session of UNWTO Executive Council began on October 30, 2018. The Executive Council will discuss several topics on the agenda that are related to the development of global tourism sector. In his opening remarks, the Minister highlighted the role of tourism in socio-economic development through job creation, enterprise and environment development and foreign exchange earnings. 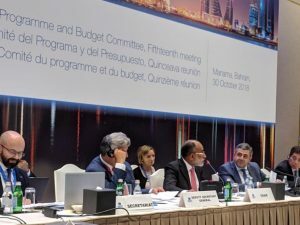 As the chair of the committee, the Minister informed the session that for the first time, UNWTO had a surplus budget and most of the arrears due have been paid. 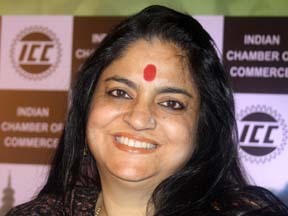 India will be the chair of Programme and Budget Committee of UNWTO Executive Council till 2021. At the sidelines, the Minister also met Zurab Pololikashvili, Secretary General, UNWTO, and discussed on involving UNWTO in developing tourism as a strong agent for the better future of the world and establishing the Global Public Private Partnerships. India has been chosen as the host country to celebrate World Tourism Day 2019 on the theme ‘Tourism and Jobs: A better future for all’. Celebrated every September 27 around the world, the purpose of World Tourism Day is to foster awareness among the international community on the importance of tourism and its social, cultural, political and economic value. The event seeks to address global challenges outlined in the United Nations Millennium Development Goals (MDGs) and highlight the contribution the tourism sector can make in reaching these goals. Every year, UNWTO invites people of all ages and backgrounds to hold and take part in WTD celebrations in their respective countries or holiday destinations. Zurab Pololikashvili, Secretary-General, UNWTO issues a message each year to mark the occasion and chairs the official celebrations. The 7th Annual Convention of the Indian Heritage Hotels Association (IHHA) is scheduled to take place at Bharatpur in Rajasthan from September 13-14, 2018 on the theme ‘Revitalizing India as the Heritage Destination’. “We are all here to explore, debate, deliberate and arrive at a definite roadmap for resurrection of this sacred land. 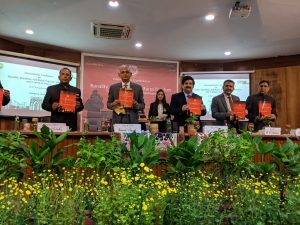 We have thus far taken our heritage for granted and been extremely irresponsible to provide the desired care to protect and preserve our invaluable heritage both tangible and intangible,” said Randhir Vikram Singh, Secretary General, IHHA. Several eminent national and international speakers are expected to share their respective nations’ conservation experiences. Sujit Banerjee, Secretary General, WTTC, India Initiative, has been honoured with the Legend in Public Service award. He retired as Union Secretary to the Government of India, Ministry of Tourism. 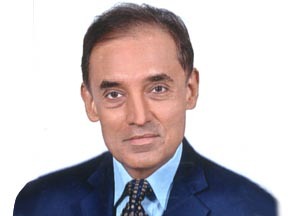 Banerjee has served the Government of India in various capacities in his distinguished career as an Officer of the Indian Administrative Service. In his career, he has served as Secretary, Central Vigilance Commission; Secretary and Chairperson of National Authority, Chemical Weapons Convention. He also headed a committee constituted by the Ministry of Environment and Forests to formulate guidelines for forest and wildlife ecotourism in the country. 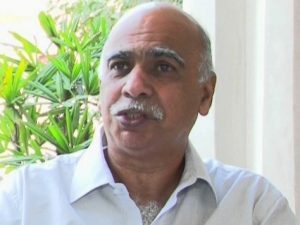 He has served as Member on the Ethics Committee of Standing Conference of Public Enterprises; as Chairman, Advisory Committee on World Heritage Matters, Ministry of Culture; as a part-time non-official Director on the Board of SAIL and as Chairman, Committee for National Heritage Sites, Ministry of Culture. Rahul Lall has been appointed as the Secretary General for FHRAI (Federation of Hotel and Restaurant Associations of India). He completed his Post Graduate Diploma in Hotel Management from The Oberoi School of Hotel Management, New Delhi. He is from the Management Trainee batch(1985-1987). Prior to this he did his Bachelor of Commerce (Honours) from Delhi University. He is an alumnus of St. Xavier’s Collegiate School, Kolkata and Don Bosco School, Chennai. He brings with him over 30 years of progressive hotel experience spanning renowned hotel chains across the country. He has extensive operational, administrative and bottom line management experience. Coupled with a strong leadership and financial skill sets, he is ideally suited to take on the responsibilities of running the day-to-day administration of FHRAI. A Professional hotelier, he has worked with the Oberoi Group of Hotels for 15 years and thereafter with Sarovar Hotels. He has been in various capacities as General Manager, Area Director and Vice President Operations. He has over seen pre-opening and successful openings of various hotels. 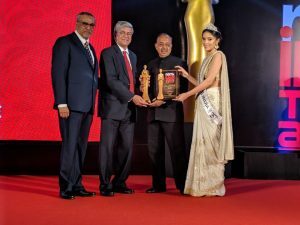 Prior to joining FHRAI he held the role of the Vice President Operations for the Dangayach Group of Hotels (Marriott Jaipur, Ramada Jaipur, Chomu Palace Hotel Jaipur, Four Points by Sheraton Agra and Park Plaza, Jaipur).